Cruises are supposed to be fun. In fact, one of the biggest attractions is the prospect of decadent food, lavish state rooms, and well, alcohol. Just like any resort vacation, a lot of entertainment is built around an atmosphere and culture of alcohol. But what happens when cruise ship staff continue serving a person well past intoxication, and it results in a serious injury or death? 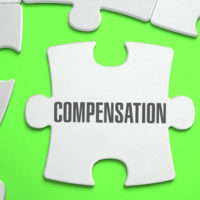 In many cases, the injured person does have a right to seek compensation for the injuries. In general, Florida has one of the weakest dram shop laws in the country. In some states, an establishment has an affirmative duty to stop serving a person if it is clear they are intoxicated. In some states, the law is even extended to hotels who knowingly rent rooms to minors who intend to use the room for the purpose of consuming alcohol. In Florida, however, it’s a different story. Under FLA STAT 768.125, the state law says that bar owners and bartenders are not responsible for injuries or death, simply by virtue of serving alcohol, even to a clearly intoxicated individual. So, at least with regard to land-based claims for injuries, Florida only allows claims where the bartender or shop owner knew the person was a habitual drunk or a minor, and yet served that person anyway. This is a really high burden of proof. Once on the water, a different set of laws apply. Under maritime law, a cruise ship company must “exercise reasonable care for the safety of its passengers,” as explained by a 2004 Florida appellate court decision in Hall v. Royal Caribbean Cruises, Ltd. In this very short, 1-page statement by the Third District, the court made clear that Florida’s restrictive dram shop law would not prevent injured passengers from availing themselves of maritime law to try to obtain a recovery for the negligent actions of the ship and her crew. When you book your cruise you are issued a ticket. That ticket is a contract between you and the cruise line and the terms of the ticket control where you can file your claim and how long you have to do so. Most cruise lines require that suit be brought in their home town. So even if you live in Illinois and boarded a ship in Seattle for a cruise to Alaska, you could have to file your claim in Miami. The terms and conditions of your ticket are generally found on line at the cruise line’s web site. If you file in the wrong place your case could be dismissed. If that happens you may be left without a remedy. A lot of attorneys advertise that they can help people after an injury, but not all of them are experienced at dealing with maritime injuries. The laws are often very different. Navigating these laws and fighting the massive cruise ship companies can be a very different matter than handling an auto accident claim. If you or someone you know gets hurt on a cruise ship, don’t call just any lawyer. 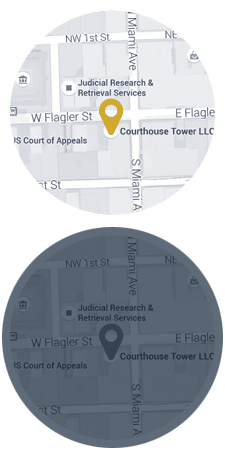 Contact Michael F. Guilford, P.A. to schedule a free initial consultation to review your case. You have nothing to lose. Get the answers you deserve, but remember, there are strict time limits on recovering for your injuries.